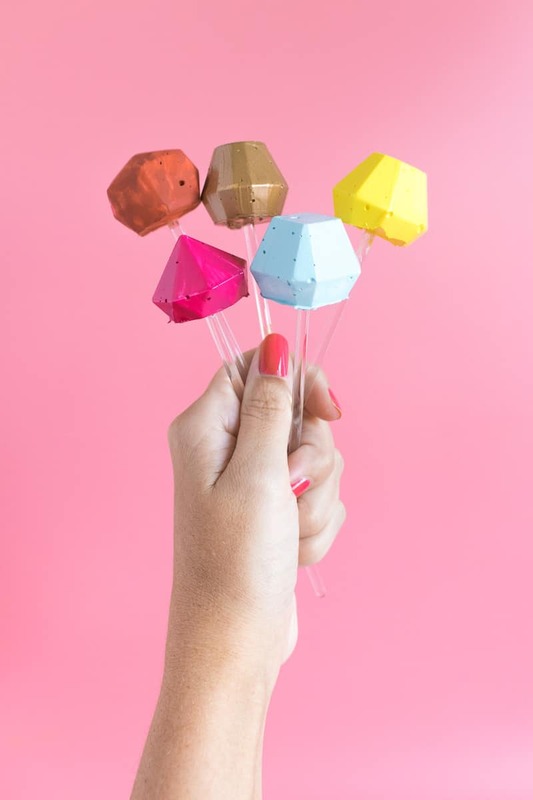 Get ready for the holidays or just add to your bar cart decor with these fun and colorful gem DIY cocktail stirrers! So easy to make. Hi there! 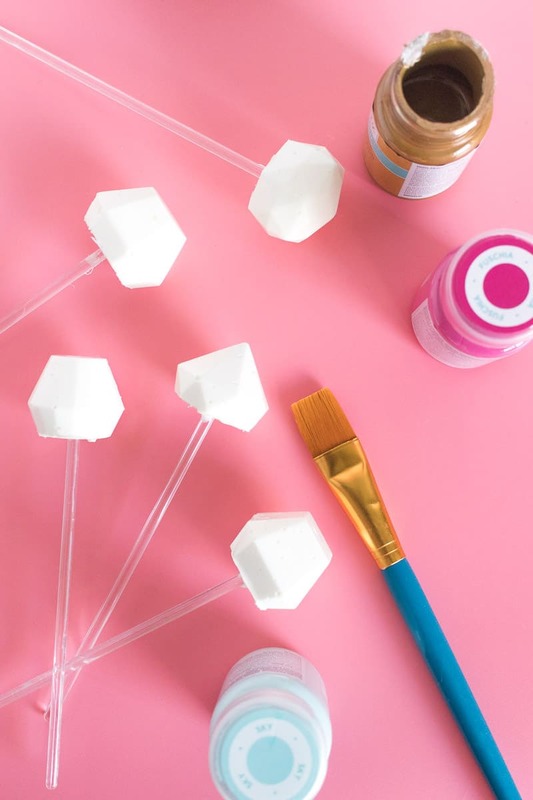 Holly here from Club Crafted again with a DIY that will add a homemade touch to a party or just to your bar cart décor. 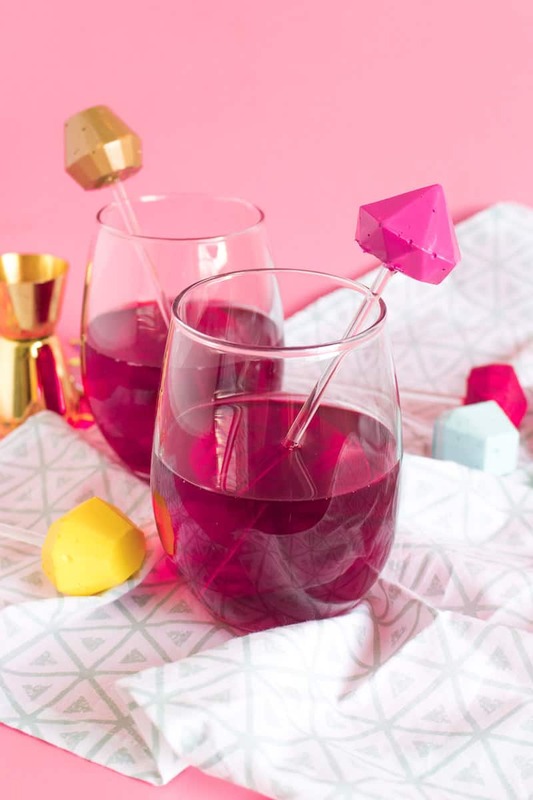 These 3D gem DIY cocktail stirrers are made with Mod Melts and an ice cube mold, and not only do they help you stir up a drink but they’ll help you identify which drink is yours if you make each one unique. 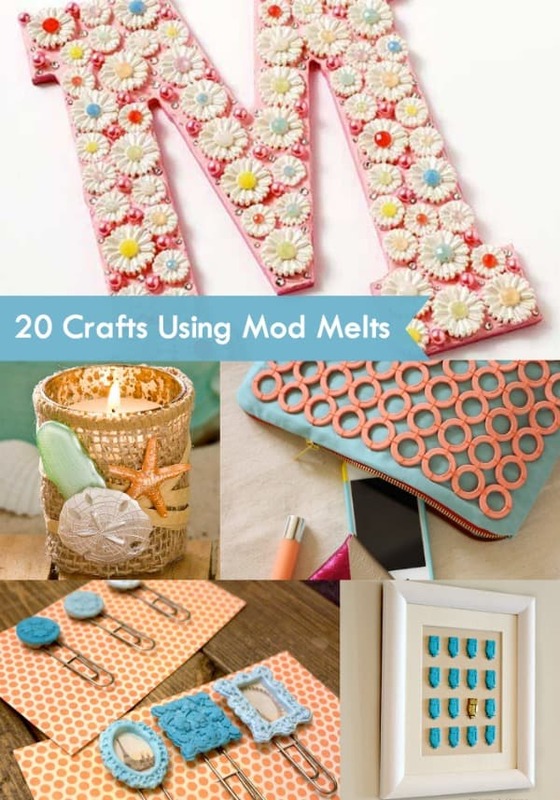 With Mod Melts and paint, these must-have bar accessories come together very quickly! Step 1: Heat up the Mod Melts gun and slowly dispense the glue around the inside of the gem mold. 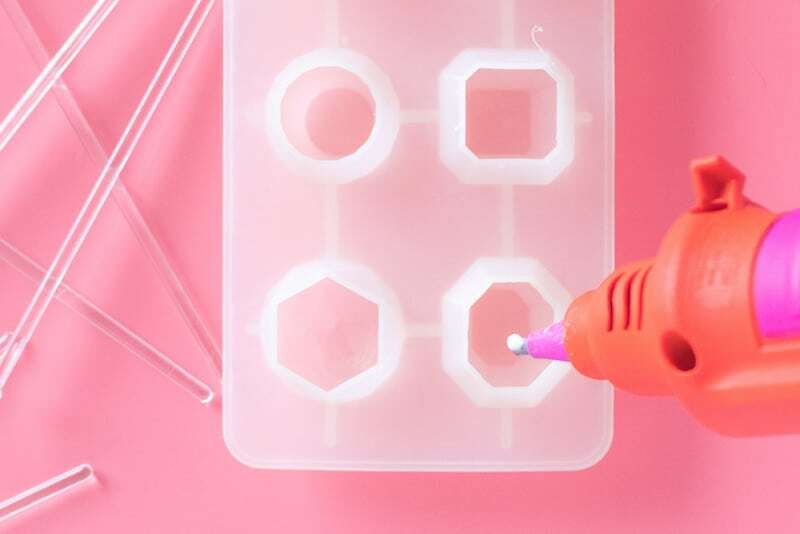 Go slowly and be sure to fill in every crevice, tapping the mold on a hard surface every few minutes to settle the glue. Step 2: Continue until the mold is completely full. Set aside for several minutes until the top is still very tacky but not fluid. Then insert a plastic stir stick into the middle of the gem shape. 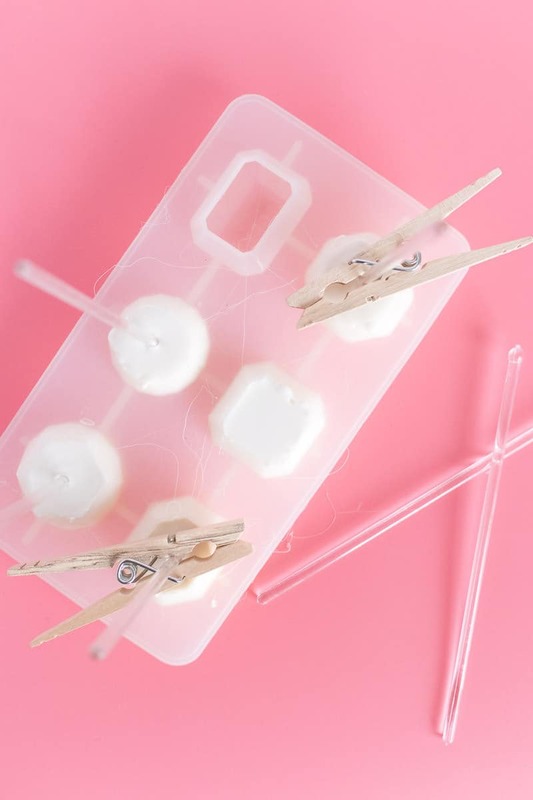 Note, you can use clothespins to hold the sticks in place while the glue dries! This will prevent them from falling to an angle while drying. Step 3: After about 30 minutes, the top should feel completely dry and hardened. Carefully remove from the mold. Step 4: Paint at least two coats of paint on the Mod Melts portion of the drink stirrer and let dry. 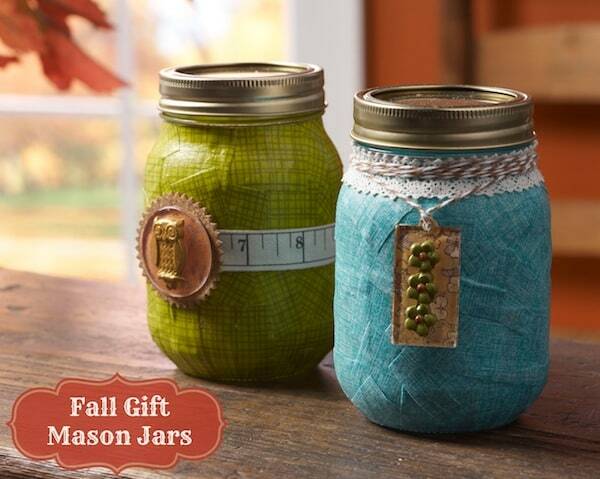 For best results, spray a sealing paint over the paint to reduce the potential for chipping over time. Your cocktail stirrers are ready to use! 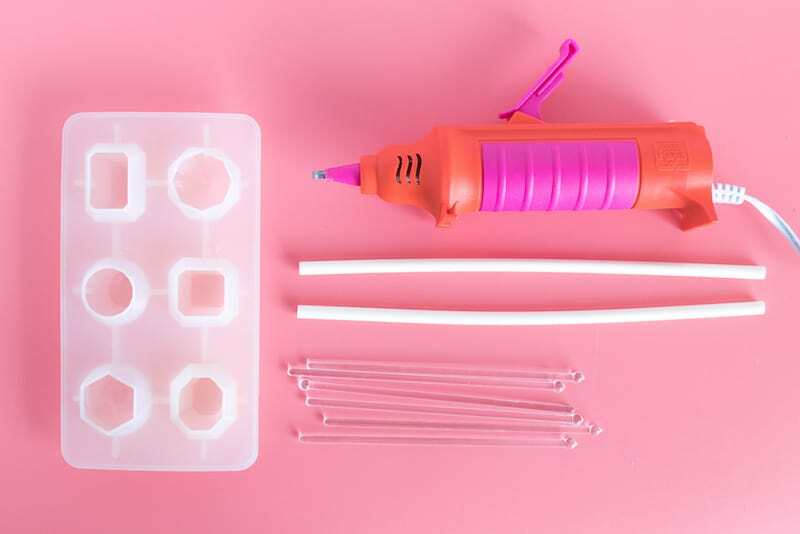 You can reuse them as long as you hand wash the plastic stick portion thoroughly between uses. 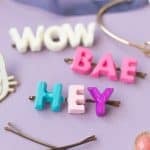 They’re useful, but they’ll also add a pretty pop of color to your drink, whether it’s a party or just a Friday night at home. 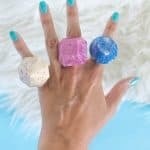 Did you know you can use the same gem mold to make jewelry? 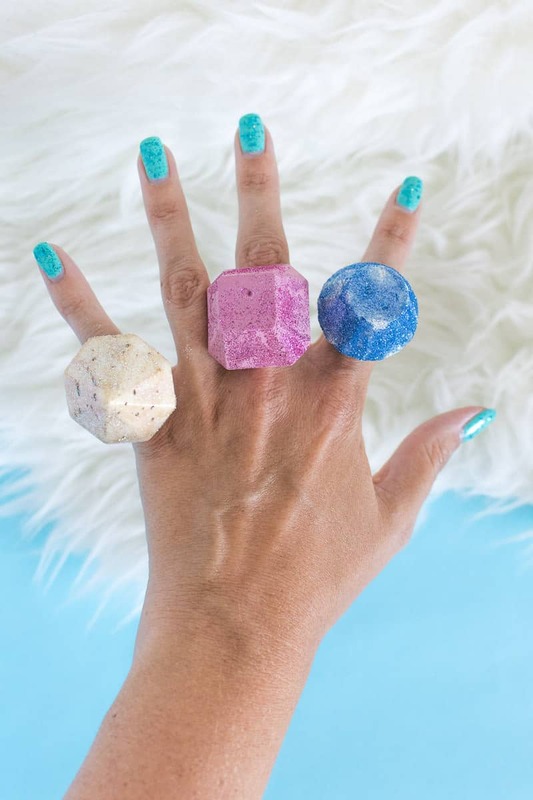 Get the tutorial in this post about DIY glittery Mod Melts gem rings! About mod podging, I am brand new and I have a pair of shoes that are fabric material and the design is coming off (either vinyl or heat pressed, not sure). 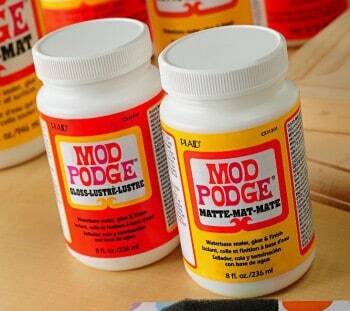 I’m thinking about using mod podge to seal it on there but I’m not sure which one to use and how much of it to use. I would like some tips. Thank you. Okay. Do you know which product would act as the best sealer for this kind of material?